We first worked with Lauren when we moved to the Colorado Springs area, seeking to purchase a home. She honed in on what we were looking for immediately, and gave us straightforward options and solutions based on what was available. We needed to be out of state for some of the transaction, and she went above and beyond to make sure the purchase and final items went as smooth as possible. When it came time to sell, we immediately went back to Lauren. Not only had she stayed in touch over the years, but when we initially went over goals and expectations for selling, she remembered key details from when we purchased the home. Like always, communication was clear, concise, and she was prompt in every aspect of the transaction (my kind of business!). I couldn’t have asked for a better experience on either end. Lauren is definitely a great one, and we are thankful to have found her! -Ashlee V.
Lauren has represented us on multiple occasions and we have been nothing but completely satisfied and grateful for her knowledge, promptness, and attention to detail, so much so, that we referred our son and daughter-in-law to her, as first time buyers, with peace of mind knowing they would be well taken care of and were. We highly recommend Lauren and her staff and will use them for any of our future real estate endeavors. -Gary and Paulette S.
Lauren is everything you hope for in an agent. She really looks out for her clients with no surprises and seamless transactions. On 5 occasions now she has been our agent of choice. No better agent in the Colorado Springs area! -Mike G.
Lauren is attentive, detailed and follows through with what she says she will do!!! She is super helpful and knows what she is doing. We have done business with her for many years and also know her on a personal level. We HIGHLY recommend her! -Leith M.
I worked with Lauren and her Re/Max team while looking for a house in the Colorado Springs area. Lauren found several appealing options for me to look at, including townhouses and single-family homes. I ultimately purchased a house that Lauren told me about in an area that I had not previously considered. Everything went well and I would certainly work with Lauren again! -John W.
My husband and I were relocating from New York City to Colorado Springs and were thankful we found Lauren to help us with this process. She is incredibly knowledgeable about the area and responsive to her client's needs and questions. Our search took several months, but she patiently continued to show us properties until we found the perfect one! -Christine G.
Lauren Stadjuhar is a gem! She came highly recommended by our neighbors who she had helped find their current home. We were not disappointed! She went above and beyond to find us houses to view, she listened incredibly well to what our needs and concerns were, she made herself available to all of our questions as well as making the whole house hunting experience manageable, timely and productive. We would recommend her in a heartbeat! - Meegan M.
We are a retired couple wanting to relocate to Colorado Springs for retirement. We have purchased a number of homes over the years and Lauren was the most efficient and knowledgeable agent we have worked with. Her understanding of the Colorado Springs market is amazing as well as her in-depth knowledge of home construction and code issues. It was an enjoyable experience from searching for the right home to making an offer and closing. Thanks, Lauren. -Myra C.
We had some very specific wants and needs for our new home and Lauren helped us navigate the process of evaluating both existing homes and potential new builds. She was very patient with us throughout what turned out to be a very lengthy process and her knowledge of the market was invaluable in helping us come to a decision. Once we decided on a house, she helped us put together a very strong offer that beat out several others despite not being the highest bid. 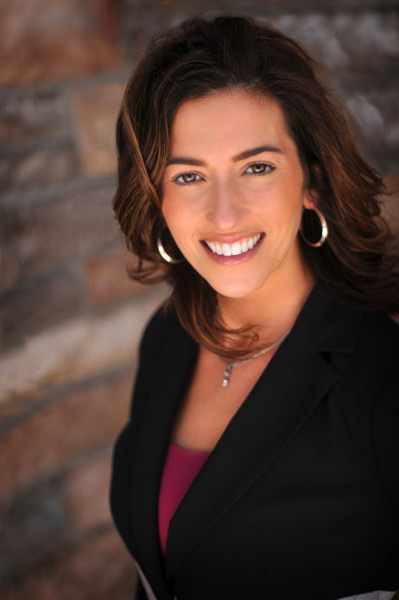 We would strongly recommend her to anyone looking to buy or sell a home in Colorado Springs! -Brad C.
This is the 3rd time that I used Lauren. Lauren is meticulous and knows exactly what to do to sell a house. She is not an agent who just sticks a sign in the yard and hopes for the best. She sold 1 house for me in one day, and another house within 3 weeks. Lauren is very responsive to any questions and requests. She knows the monument area inside and out as well. I give Lauren the highest marks and would recommend her to anyone. -Nathan H.
I had a wonderful experience working with Lauren! She was very attentive and possessed keen insights to my family and our needs. Thank you, Lauren! You made us very happy! -Sheryl H.
Professional, competent, and creative with intensity and charm.... Lauren has what it takes to sell homes and to represent well both a buyer and/or seller! -Vance B.
Lauren was excellent to work with! Highly recommend working with her to buy a house!!!!!! -Michael D.
Lauren Stadjuhar is the hardest working, and most professional real estate agent I have had the pleasure of working with. I initially contacted her on the home she had listed. We had never met prior, but from the moment I met her, she treated me with courtesy and caring. I subsequently found a new home to buy, and had her represent me on the buy. Throughout the entire process, Lauren was always there at every meeting, guiding me along the way. I was so impressed by her work, I strongly recommended her to my very close friends who were buying a new home, and selling theirs. To date, my friends are very impressed by the personal touch one rarely sees in today's business arena. If someone wants a true professional that goes above and beyond what is expected, then Lauren Stadjuhar is the one to call! -Perry K.
We couldn't be more happy with Lauren's ability as an agent in finding our house. We built from California and she was there every step of the way to make this process enjoyable and easy. As an agent myself, I would give her a 10 plus! Her knowledge and ability to keep us informed were incredible! I would recommend her to anyone. Enjoyed working with her, always was there behind the scenes to make our lives easier. Thank you, Lauren! We treasure you and would do it all again! Thanks for putting up with us! -Jeanne and John K.
Lauren was highly responsive and easy to work with. She was able to negotiate a deal on a house with three other offers without us needing to raise our offer from asking price. Very impressive! Had all of her ducks in a row, and never missed a detail! Excellent service, very patient and helpful with first time home buyers! -Benjamin C.
No need to compare other agents, Lauren is the best. Just pick her. She was incredibly helpful every step of the way (how best to invest the renovation budget, setting up appointments, negotiating contracts, etc...). Working with Lauren in person and from out of state was always a breeze! -Jeff W.